OK.. Finally, I did my fist paid scan.. it came out amazing! Still working on it and will share very shorly. Wanted to know if any fellow Comrades can share the workflow to MLS? Drag over to Aurora HDR and clean up, adjust and thats it..
What size do I save for MLS?? I a reading all sorts of sizes online.. whats best? @advancedhdr I suppose it depends on what MLS provider you have in your area. A lot of MLS's use CoreLogic's MATRIX, which horribly compresses the quality of images. I've found the bigger the size the better. The Matrix system tells agents: "For maximum quality, upload photos at least 1024 x 768 pixels in size." I believe there is a max size, but I can't find what it is. I think if the file size is too big the agent will get an error message. Easy enough to re-size to a smaller file size though. Queen City, What compression software are you using? Does any one know the pixel size from Matterport lowest setting once you take snaps? I would guess that this may be the 1024 x 768. 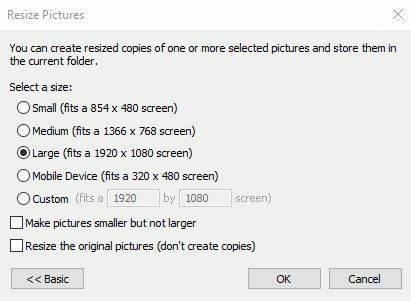 Windows has an image re-sizer tool, and so all I have to do is right click on an imagefile or series of image files and I can choose a pre-set or custom size. If the re-size tool doesn't show up when you right click I think it's an easy download to get that tool, but I forget the process. Seems like everyone is using Win exept for me!